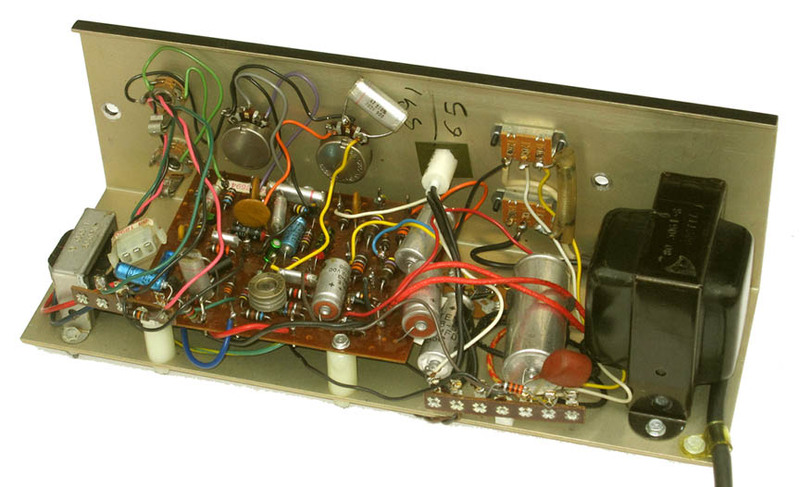 An "L" shaped steel chassis contained the main printed circuit board, power amp output circuits, controls, input jacks, switches and indicator lamp for the Vox V1241 Kensington Bass amp. The control panel nomenclature was silk screeened onto the upper face of the chassis. The entire chassis had a passivated finish to prevent rust. This passivation caused the chassis to have a yellow hue. The PC board included the circuits for the preamp, tone controls, power supply and output driver circuits. The board was secured to the chassis via three screws that threaded into nylon standoffs. Tone-X was a single tone control that replaced the conventional bass and treble controls. Tone-X was a sweepable EQ control that offered about a 6 db boost from approximately 50 hz (control counter clockwise) to 300 hz (control clockwise). The power amp for the Vox Kensington was rated at 22 watts RMS, 45 watt peak and was powered by two germanium PNP transistors using the Thomas part number 86-5043-2. While the supply of these old school germanium transistors continues to dry up, replacements are still available. 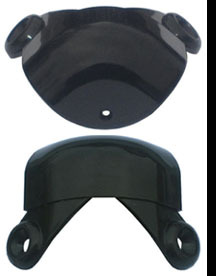 NTE Electronics offers suitable replacements as their part NTE121. These cost about $70 a pair. 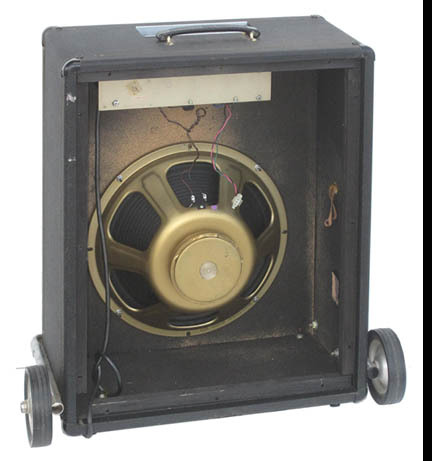 The Kensington Bass featured a four ohm 15" Jensen C15N speaker. The Jensen C15N featured a 28 ounce ceramic magnet and a 1.5" voice coil. 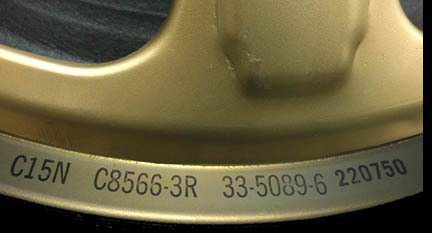 The speaker was painted gold, similar to the Oxford speakers used in other US Thomas Vox amps. 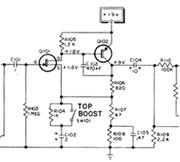 A "G-Tuner" feature was added to the V1241 Kensington Bass amp circuitry. The "G-Tuner" was a basic tone generator circuit comprised of a variable inductor, a transistor, a capacitor and a few resistors (see photo at lower left). When operated, the circuit generated an organ like tone pitched to "G " in the musical scale. This was used to provide a reference frequency for tuning the G string on a bass guitar. 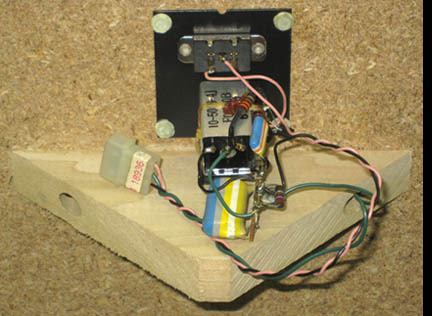 This circuit was mounted to the inside upper back panel of the V1241 Kensington Bass. A slide switch, recessed into a round hole on the back panel, enabled the tuning tone.